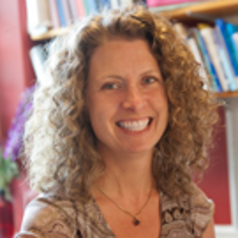 Associate Dean Penny Bishop is Professor of Middle Level Education at the University of Vermont where she teaches future middle grades educators and conducts research on schooling for young adolescents. She is founding director of the Tarrant Institute for Innovative Education. Dr. Bishop has served as Principal Investigator on numerous grants, bringing over $12 million dollars to Vermont schools to improve the learning and lives of middle grades students. A former middle level English and Social Studies teacher, Penny has served as chair of the Association for Middle Level Education's Research Advisory Board and as chair of the American Educational Research Association's group on Middle Level Education Research. Penny previously served as policy advisor on fellowship to the New Zealand Ministry of Education, providing input and research on effective schooling policies for students in the middle years in that country. She is co-author of six books on effective middle grades practice, the latest of which is Personalized Learning in the Middle Grades, published by Harvard Education Press.